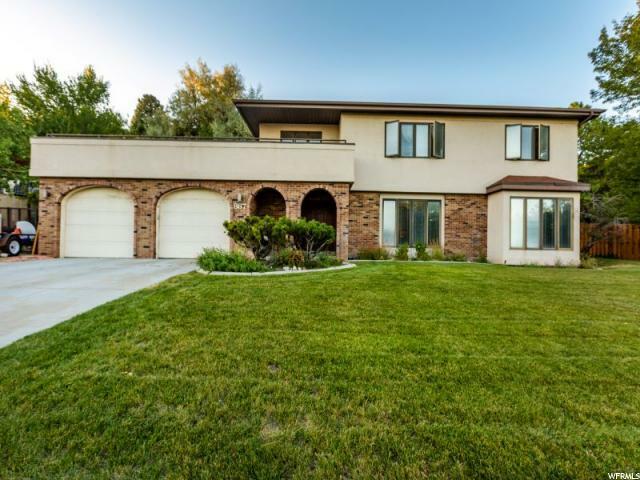 All AVENUES homes currently listed for sale in Salt Lake City as of 04/25/2019 are shown below. You can change the search criteria at any time by pressing the 'Change Search' button below. 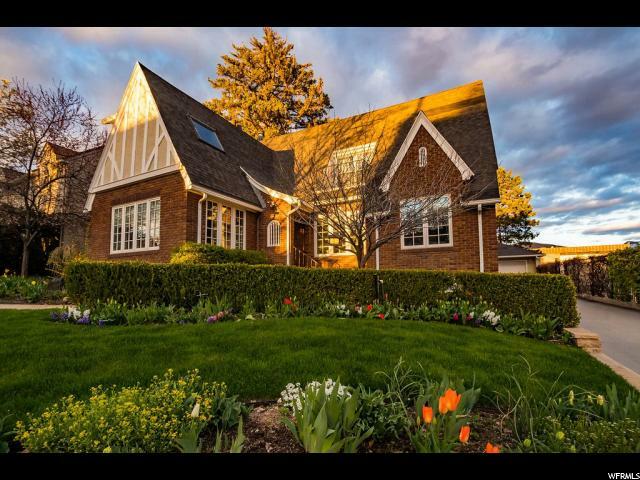 "Lovingly maintained brick Tudor in the high Aves - follow the stone path into this classic feel and style of an avenues dream home. Light and bright with updated kitchen and baths and...CLOSETS!! This 5 bedroom with 3 full baths (including steam shower in master) is complete with a master bedroom sanctuary and full master bath PLUS sitting area AND fireplace. Relax in your Secluded indoor hot tub with South Capital and north views. Meticulous, manicured gardens with perennial surprises abound and storybook Wisteria trellaces. Move right in and enjoy this beautiful home inside and out. Basement gives the opportunity for 2nd living quarters or extra space for your home. Be close to the mountains and downtown but enjoy this spacious neighborhood feel of upper B street. This home's presence speaks for itself from the exterior to the interior. " "Utah sunshine fills this massive kitchen/dining area with warmth and light year round. This room is the perfect place to raise a family. There is something so comforting about the towering mountain peeking through large windows. Wildlife meanders through the yard, particularly deer. Whether you watch them through the kitchen window or from the massive rooftop deck, their beauty is astounding. Life looks great from the top of the world. That's where you will think you are when you step out onto the deck. It's like one big family room opened to the sky. This home, high on the east bench, was built for a family! Large spaces encourage gatherings. Keep the family all together on the second floor where five bedrooms and three bathrooms are well-equipped for children. Two master bedrooms offer massive closets and the entire home features built-in shelves for instant organization. Wood floors are easy to maintain. A bonus room off the second master makes this the perfect place to accommodate special guests. Bedrooms in the 100% finished basement offer a little distance and privacy. In the family room, an entire wall of custom cupboards, a desk, drawers and book shelves encourage young students to study. The 2-car attached garage is huge with yet more room for storage! The huge yard is fully landscaped. Decks on the front and back of the house will give you room to soak it all in! This Avenues neighborhood is highly coveted. Walk to the 11th Avenue Park with the kids and dogs to enjoy time alone or with an entire community of children and adults who love to play soccer, run and laugh. This convenient location offers easy access to downtown, shopping, entertainment, recreation and a beeline to world-class ski resorts! Call us, will you? We can't wait to welcome you to your new home." "Historical Avenue's Victorian! Best downtown neighborhood in SLC! Close to U of U, restaurants, hospitals. Great mountain and valley views from 2nd story. Bright home with high ceilings. Upstairs mother-in-law or master suite with kitchenette, living room, bed/bath or can be used as two of the 4 bedrooms. Large unfinished attic with high ceilings. Upstairs office space. Attention to detail around every corner! New appliances. Great 2-car garage and nice neighbors/yard. Must see!" "Victorian Eclectic with movie set good looks. Attention to detail, function, beauty: 10'+ ceilings, original woodwork. Floors refinished in 2016: main floor quarter-sawn oak; fir floors up. Two sets of working pocket doors . Beautiful leaded glass accent windows. Two furnaces. Central air. Ecobees smart thermostats. Custom shutters. Pella windows. Gas fireplace with blower, installed 2017. Granite counters, glass tile backsplash, prep island, pendant lighting, quiet newer Kitchen Aid dishwasher, Maytag gas stove, large deck with sun shades and gas connection, steps straight out from kitchen. True master suite has separate shower and tub, double vanity, and walk-in closet. Views of mountains from master bedroom and bath. Second bath up as well. Attic space up with staircase (900 sq ft) insulated, with plans available. 2008 garage build year (interior beautifully finished with woodwork, shelving). Is an oversized 1-car garage (1.75?) but could fit two small cars. Extra plot of land to use for RV or small studio, 15x18'. Waterwise ornamental plants, succulents, coral bells, maples, red buds, Asian Plum tree, planter boxes, auto sprinklers plus drip system. So close to Lindsey Garden Park, Publik Coffee, Cafe Noir, Cucina, Reservoir Park, and the University of Utah! " "**First Open House: Friday 4/26 from 4 to 7pm. 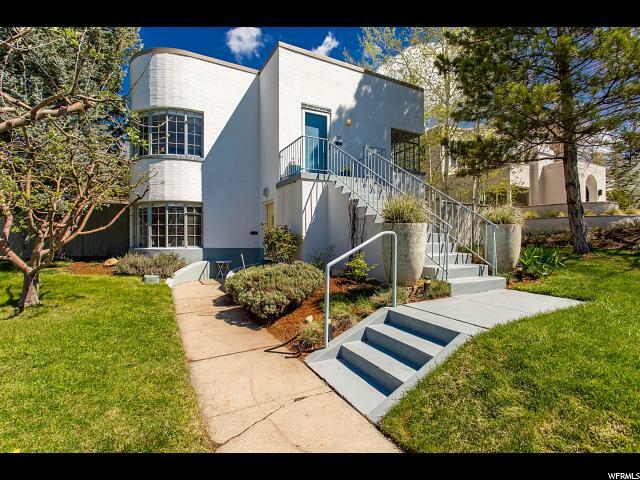 ** Rarely available International Style home in high Avenues. This home retains all of it's Art Moderne characteristics while providing convenient, modern day updates throughout. 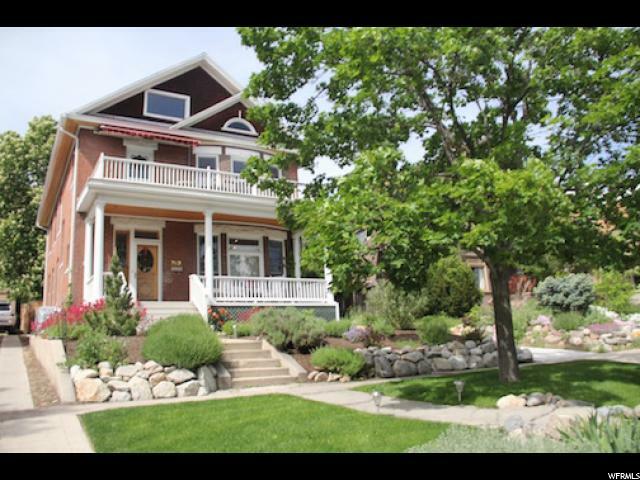 New hardwood floors with new wool carpet downstairs, 4 spacious bedrooms, large corner lot with beautiful city and mountain views. Heated 2 car garage with 220-240 electric car charger. The workshop also has 220 power and large windows with southern exposure. Raised vegetable garden beds, shaded patio. The incredible uniqueness of this home is not to be missed. The home has been featured in numerous Heritage Foundation tours. 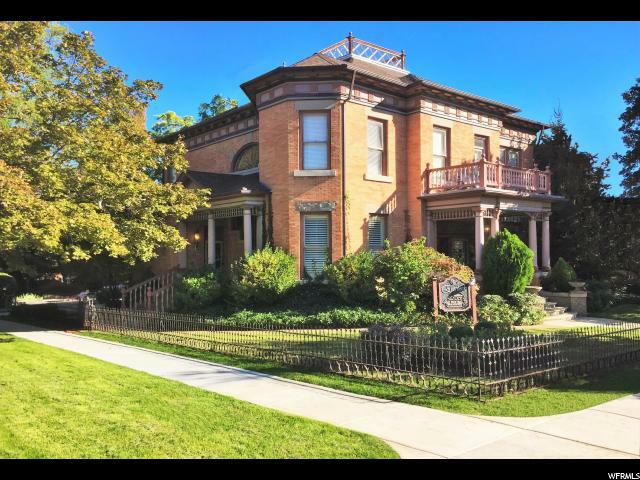 Quiet neighborhood and just steps away from UTA bus line directly to the University of Utah and Medical Center. Lower level has its own entries and could easily be converted into an apartment." "This three-story Victorian, right in the heart of the Avenues, is as quintessential as they come. Privy to all kinds of original facets and features, it's a spot with all the character of a bygone era. Inside, wood casings and a swath of exposed brick purposefully lend themselves to a vibe that is both charming and classic. Following suit with the aforementioned feel, the original tile fireplace pairs perfectly with the still-in-place leaded glass windows and looks the ideal place to hunker down come colder temps. The kitchen has been updated with both aesthetic and function in mind and is seamlessly connected to the dining room and one particularly pleasant back deck, meaning meal times here are both effortless and elegant. Upstairs, there are a couple of sizable bedrooms and updated bathrooms --one of which comes complete with the original clawfoot tub--and down, there's loads of naturally-lit living space, perfect for game nights and the like. With a space this sublime on a street this serene, it's hard to go wrong. Come on then, let's get you home. Square footage figures are provided as a courtesy estimate only. Buyer is advised to obtain an independent measurement." 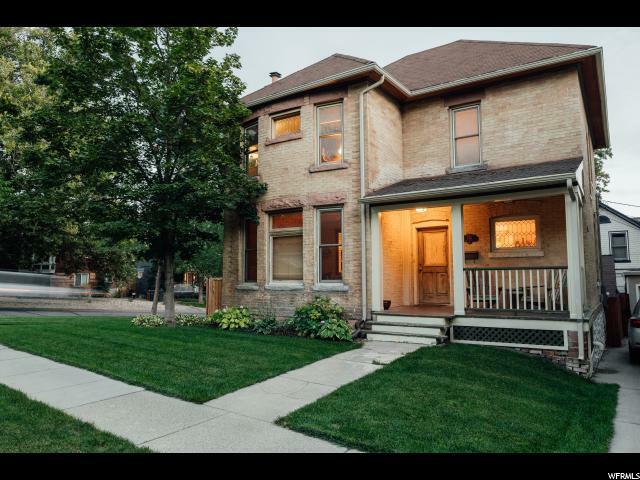 "Come check out this recently renovated, 3 bedroom, 2 bath victorian home that has the character of 1903 while sporting the upgraded features of 2019. This home features high ceilings, exposed brick, beautiful engineered hardwood floors, and a french sunroom to enjoy the tranquility of the snow while staying nice and cozy inside. 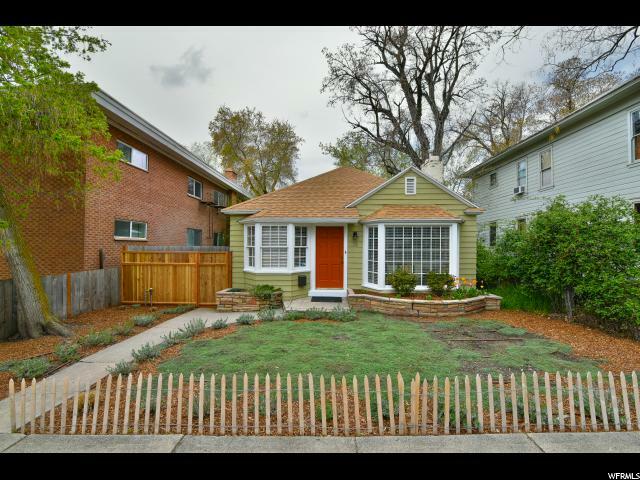 Now is your opportunity to live in the most desirable neighborhood in Salt Lake City. " 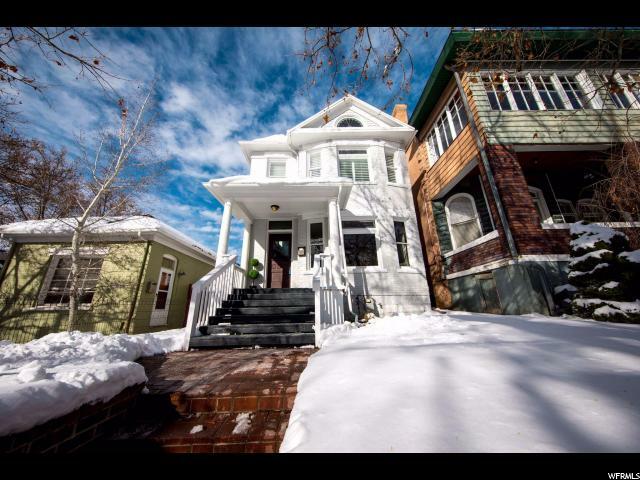 "Attractive brick 2-story located on a corner lot in prime Avenues location! The current owner has loved this home for more than 25 years. There are 2 charming sitting areas in the front of the home that adds to the curb appeal, formal living room and spacious dining room both have fireplaces, hardwood floors and grand staircase, updated kitchen cabinets, granite counters and stainless appliances, cozy east facing sun room with access to neat deck and concrete patio that provide outside entertaining areas, 4 bedrooms and 2 full baths (1 recently remodeled) on the second level with lots of light and wide hallway. The lower level has room for sitting areas and storage. Desirable neighborhood close to downtown, the university, medical facilities and the airport! " "* Pictures coming later Thursday Evening* Gorgeous Victorian in the Aves! Extensive top to bottom professionally remodeled home with a rare large lot, big enough to possibly build your own 2 car garage. This home features amazingly high ceilings and large windows to let in an abundance of natural light. Updated gourmet kitchen with plenty of cabinet space, beautiful granite countertops, and new appliances. Gorgeous bathrooms, sun room, and a HUGE finished loft in the attic, with all new heating/cooling units. Great yard to plant a garden and play with your pets or kids." "Charming cottage in the lower Avenues. Rare to find a home in this location for this price. Wonderful natural light. Great walkability! 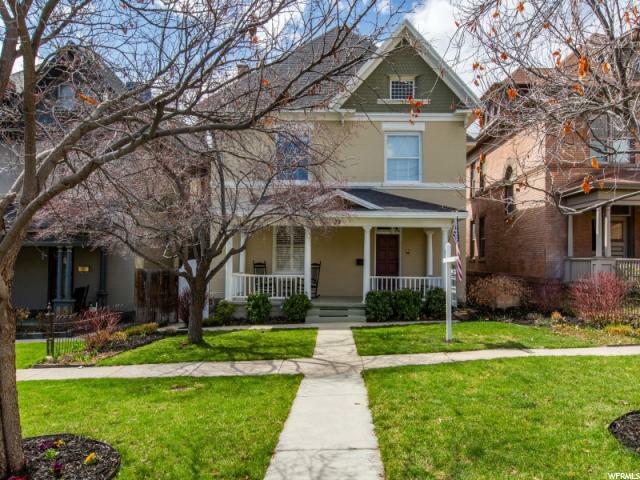 Close to Cucina Wine Bar, Publik Coffee, the U of U, and City Creek Canyon. Conveniently located near the bus stop for easy commuting. Square footage based on county records; buyer/agent to verify."